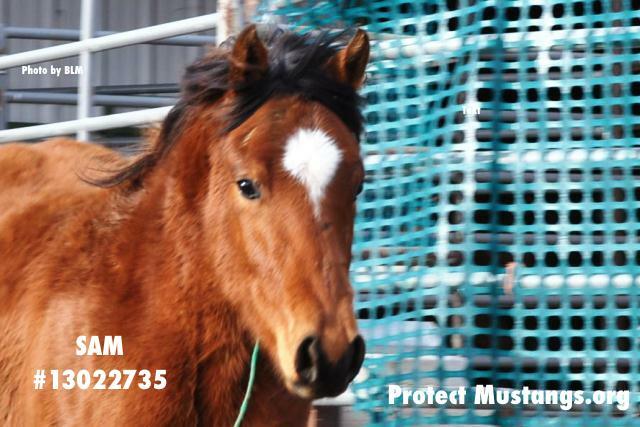 Please help network these wild horses to a good home. They received a STRIKE against them from the last Internet Adoption because they were passed over. 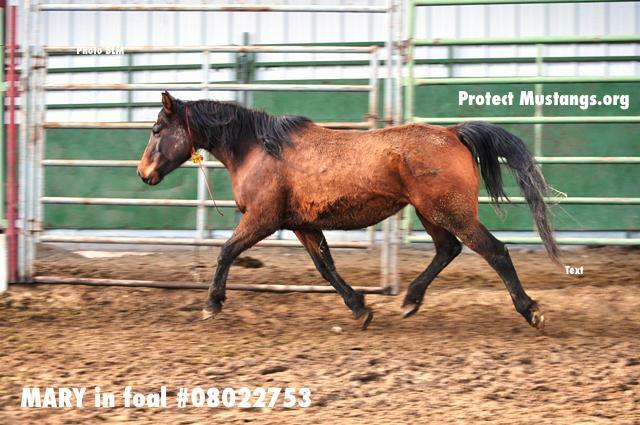 There is a likely possibility that this mare is currently carrying a foal. 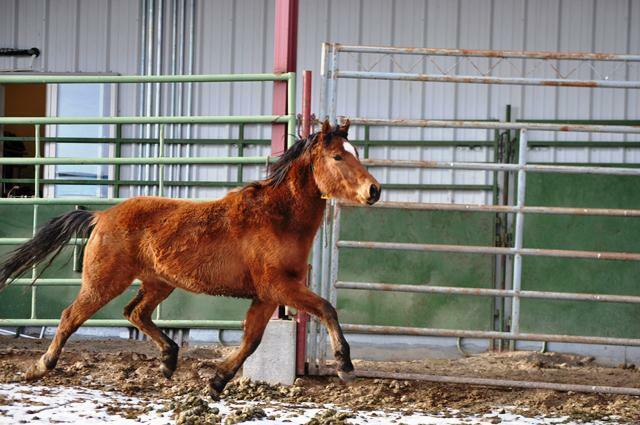 By the time the internet adoption closes and shipping arrangements are made, this horse will be too far along in her pregnancy to travel healthily via livestock truck hauling. Therefore…this horse MUST BE PICKED UP directly from Oregon’s Wild Horse Corral Facility in Hines, OR. There were no bids placed on MARY during the last Internet Adoption so she received another STRIKE. 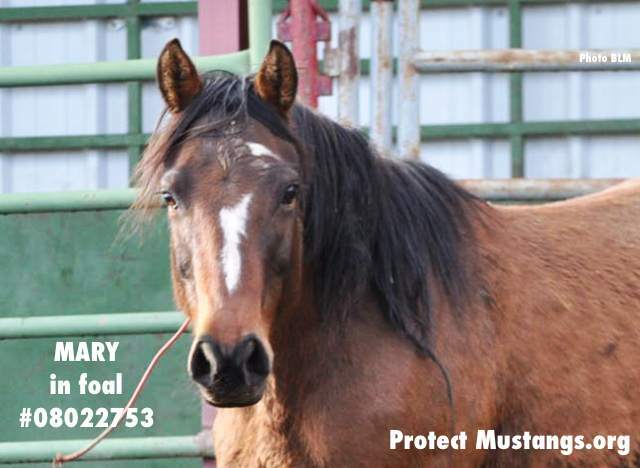 This horse is currently located at the Corral Facility in Hines, Oregon. For more information, contact Patti Wilson at email pwilson@blm.gov or Tara at tmartina@blm.gov. Pick up options (by appt): Burns, OR; Delta, UT; Elm Creek, NE; Pauls Valley, OK; Piney Woods, MS.
Other pick up options: Ewing, IL (march 20); Montgomery, AL (March 27). 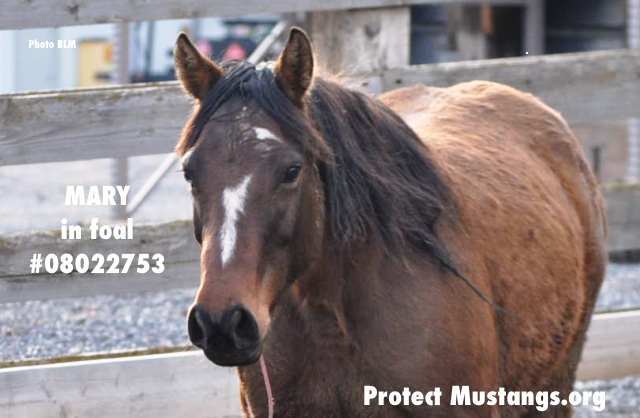 Adoption confirmation for this animal must be finalized no later than Noon Mountain February 12, 2015. After this date, all unclaimed animals will be available for in-person walk up adoption ONLY.